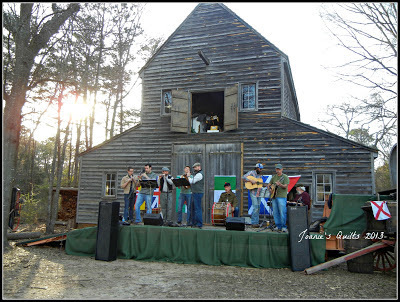 Saturday evening we celebrated St. Patrick's Day by attending a Celtic Music Festival with the Irish Temperance at Latta Plantation, a great setting for the festival. We tapped our foot and we sang along to a couple of songs too, Molly Malone for one. There was a baby who stole my heart. Even he couldn't resist the catchy music clapping and dancing. Peat was burning, a new and wonderful aroma for me. The food vendor used peat shipped in from Ireland to cook his BBQ. I had his wonderful Shephard's Pie since he had sold out of his BBQ and Haggis! When I learned what Haggis was I decided I hadn't missed out on it! I debated the Sticky Toffee cake coated in caramel and whipped cream. All the aesthetics were available especially with many in kilts and costume. Anyone ever have Irn Bru? It is a Scottish soft drink with a different taste! It was soooo good. It was a fun and delightful evening. Saturday was International Quilt Day! No sewing for me! instead I groomed my dog. I had sewn quite a bit through the week. As much as I love to sew I needed a diversion and the Celtic Music Festival was the answer. I hope to complete the backing to a quilt today then again maybe not as I am feeling tired today. We went to Cracker Barrel after church today and feel I need a day to kick back. My grand daughter would have loved that. She is a six year old fiddle player that is very good. She played in a jambree here a few weeks ago and made her fist $100.00. She was pretty excited. It sounds like so much fun. 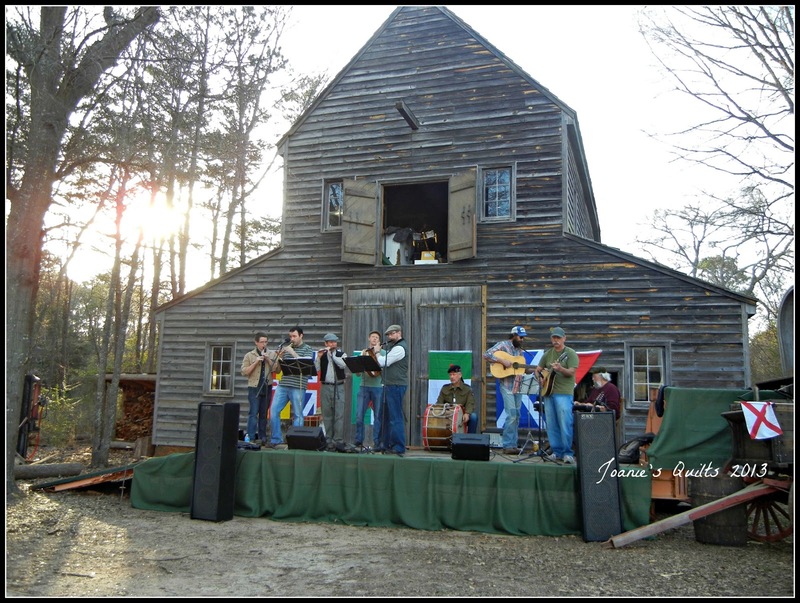 We have celtic music on Prince Edward Island a lot where we spend our summers. Thanks for stopping by my blog and leaving a comment. Glad to find your blog!